With design direction provided by Nimble Design Co. our job was to implement their design, provide a responsive version of the layout (RWD), develop a custom content management system (CMS), and create a custom FTP system for Caliber Capital to manage and share documents with their clients. 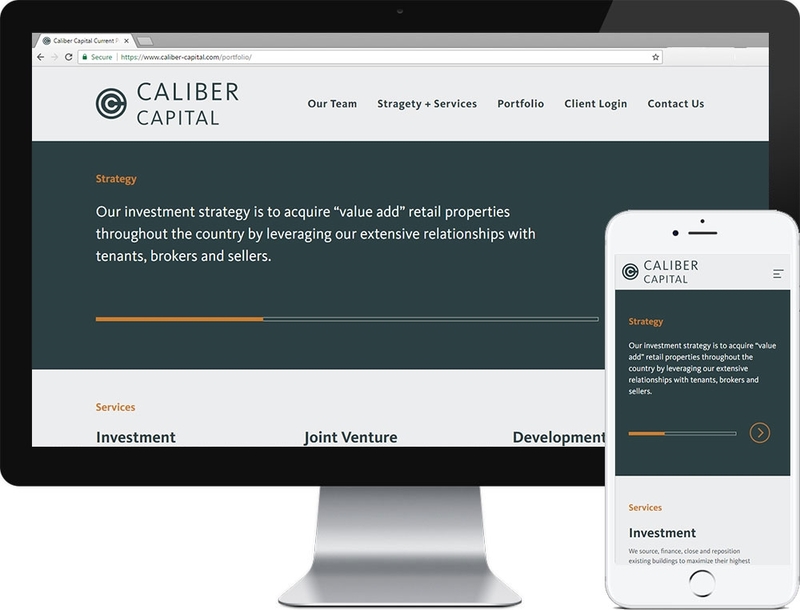 The custom CMS allows Caliber Capital to easily manage their team members, keep their portfolio up-to-date, and share documents with customers quickly and efficiently. To really boost the performance and load time of the website, we implemented a number of performance features including lazy loading of images that are not part of the initial view, inlining the critical CSS, preloading fonts, and using the power of Service Worker to manage caching and fetching site assets. This project is a 2017 Davey Awards Silver Winner.